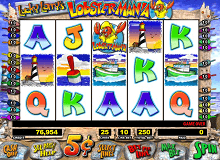 Lobstermania slots are developed by International Game Technology (IGT). This lobster-themed game boosts of 25 pay lines and five reels and comes complete with loads of bonus rounds to make for decent winnings. Lobstermania slots are based on a fisherman called Larry or sometimes dubbed Lucky Larry. It depicts a man in a Lobster outfit. There is no need to register or download the game to play, and it is accessible on both desktop machines and a number of mobile devices. For players that wish to play on a laptop, there is a possibility to download the game. This is a high-volatile slot which comes with an RTP percentage of 94.99%. There are two bonus rounds to look forward to in Lobstermania slots: the Lucky Larry’s Lobstermania Buoy lap and the Great Lobster Escape lap. Both rounds offer exciting opportunities for players to make the best of their wagers. The minimum and the maximum number of coins that can be placed per line is one. The coin size, on the other hand, may vary from a minimum of $.01 to a maximum of $25. Lobstermania slots come with a jackpot prize of 10,000. Lobstermania slots come with 25 pay-lines and 5 reels. There are two bonus rounds to look forward to. This slot has a coin range of 0.25 to 500 and a jackpot prize of 10,000. If you choose to play Lobstermania for real money, then you should understand some of the games’ features. There is a number of symbols to look forward to with the main symbol being that of Lucky Larry, a man in Lobster ‘skin’. 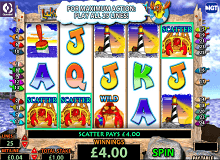 Other symbols in Lobstermania casino slot online include lighthouses, seagulls, clams, fish, caged lobsters, buoys and fishing trawlers. The Wild symbol in the game is the lobster which can be used to substitute all other symbols in the game save for the caged lobster and the Lobstermania symbol. There are two bonus rounds to ensure an interesting game. The Buoy Bonus round which is triggered when 3 Lobster slots bonus symbols appear from left to right on any pay-line that is active. In this round, players must work hard to catch all the available lobsters if decent winnings are to be enjoyed. Lobster size matters as the bigger the size, the bigger the winnings. Care must be taken not to hit any empty buoys during this round as this will bring the game to an end! If Lucky Larry is unveiled during this round, then players stand a chance to win 5 times their wager. The ‘Great Lobster Escape’ round which requires players to free the caged lobsters. The number of freed lobsters translates to the number of possible winnings in this lap. In order to enter this round, players must have their eyes peeled for the lobster icons that will appear on any part of the screen. They appear randomly, so you have to have a keen eye to spot them! Once spotted, the Great Lobster Escape lap will be activated. The Buoys round is perhaps the most interesting and rewarding round of the Lobstermania slots game. In this round, the number of buoys you pick translates to your possible winnings. For example, if you pick a lobster that presents you with 2 buoys, then you will stand a chance of winning between 20 and 200 times your active line wager. If you get 4 buoys, then this may translate to between 40 and 4000 times your wager. If on the other hand, you manage to trigger the buoy round on 2 pay-line, then you will have doubled your prize! This means that you will be presented with a 2x multiplier! Bear in mind however that if you are to play Lobstermania slot machine online, then you need to hone in your skills if you are to make decent winnings. When you have the knack of the game, you can make a maximum bet on a given payline and if the buoy round if activated then you stand a chance of being rewarded big! 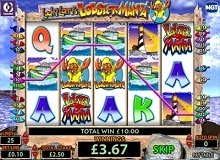 Lobstermania slots are an interesting game to play with the possibility of good winnings thanks to the multiplier effect of the buoy bonus round. This animal-themed game comes with 25 paylines which is pretty decent as this can possibly translate into good rewards. 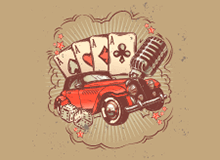 There are two bonus laps to look forward to which rounds if played well can translate to good winnings for the player. One level (Buoy bonus round) requires you to pick and choose which buoy could possibly earn you a prize while the other level (the Great Lobster Escape round) requires you to free lobsters in order to win. Regardless of the round, however, given the jackpot prize of 10,000, Lobstermania slots free is a relatively rewarding game to play.